Thousands of students studying in boarding schools of Darjeeling are being moved to Siliguri and Rongpo after the agitating Gorkha Janmukti Morcha (GJM) gave a 12-hour window on Friday to evacuate the schools. "We have given a 12-hour window from 6 am to 6 pm, so that school authorities can take students to the plains. It is not a relaxation of indefinite shutdown. This is a special arrangement for the students only. 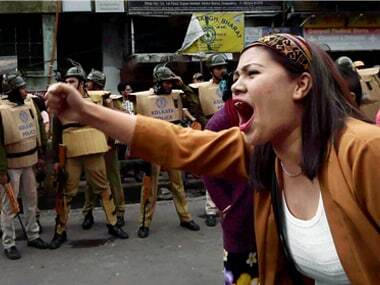 Everything will remain shut," GJM's assistant general secretary Binay Tamang told PTI. Darjeeling's boarding schools have students from many states, some are even from Nepal, Bhutan, Bangladesh and Hong Kong. "We are going home for the summer and monsoon vacation. We were stranded in the schools because of the strike... we are happy," a student from Patna said, reported IANS. Amid the ongoing shutdown called by the GJM, which is spearheading the agitation for a separate Gorkhaland state in the North Bengal hills, normal life in the town has been paralysed. Students too have joined the movement. Speaking to NDTV, Lancy Pradhan said college can wait, "even for a whole year". She is on the streets not because she supports a political party but as a 22-year-old Darjeeling native, she believes Gorkhaland is her right. "We want the government to protect us. We want our rights to be taken into consideration. We want Narendra Modi to pay attention to our condition," she was quoted as saying. On 17 June, the All Bodo Students Union (ABSU) declared their support for the Gorkhaland demand and blamed the West Bengal and the Union governments for the present crisis in Darjeeling hills. Student protests also spread to Kolkata on Tuesday as nearly 300 students gathered in a silent candle march on the Jadavpur University campus supporting the demand for a separate Gorkhaland, Hindustan Times reported. Many Gorkhas from outside the campus also attended the event and carried placards and signs which read "We support #Gorkhaland" among others. 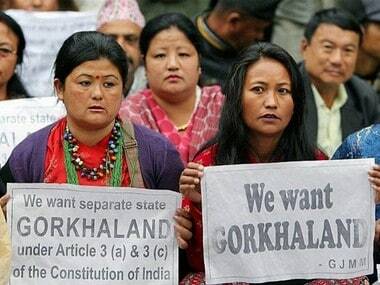 The Darjeeling impasse is likely to continue as the GJM is set to intensify its protests. 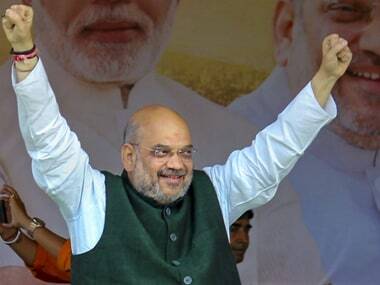 In fact, the GJM leaders along with the other hill parties and main Opposition parties including the BJP, CPM and Congress boycotted the state sponsored all party meeting on Thursday. GJM chief Bimal Gurung and 43 others resigned from the Gorkhaland Territorial Administration (GTA) on Friday. Speaking to Firstpost, GJM general secretary Roshan Giri said, "In the indiscriminate firing on protesters, the troops killed three of our supporters. 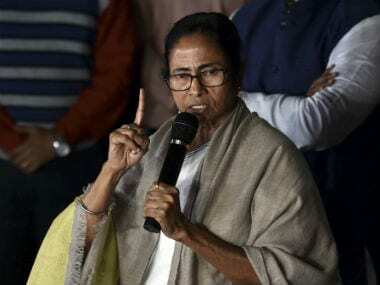 And then the West Bengal Police levelled police complaints against the GJM, which just does not make sense, and goes to show that the administration is not taking such incidents seriously." The fresh controversy erupted as the GJM and other political parties complained about "a blackout of news" in the region as the telecast of several national and regional news channels along with internet services was interrupted in Darjeeling and Kalimpong district. The Opposition parties said the suspension of internet service and of the telecast of all the national, regional news channels in the region was against the right to information.